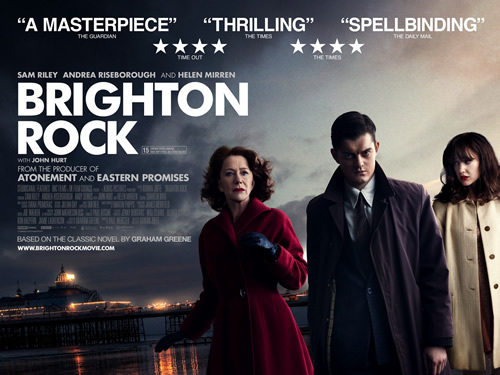 It's not that long to go before Brighton Rock hits UK cinemas. With this and the fact that the reviews are starting to appear, Optimum has released a new poster for the film. I actually prefer the old poster as it seems to feel a lot more intimidating that the one below.